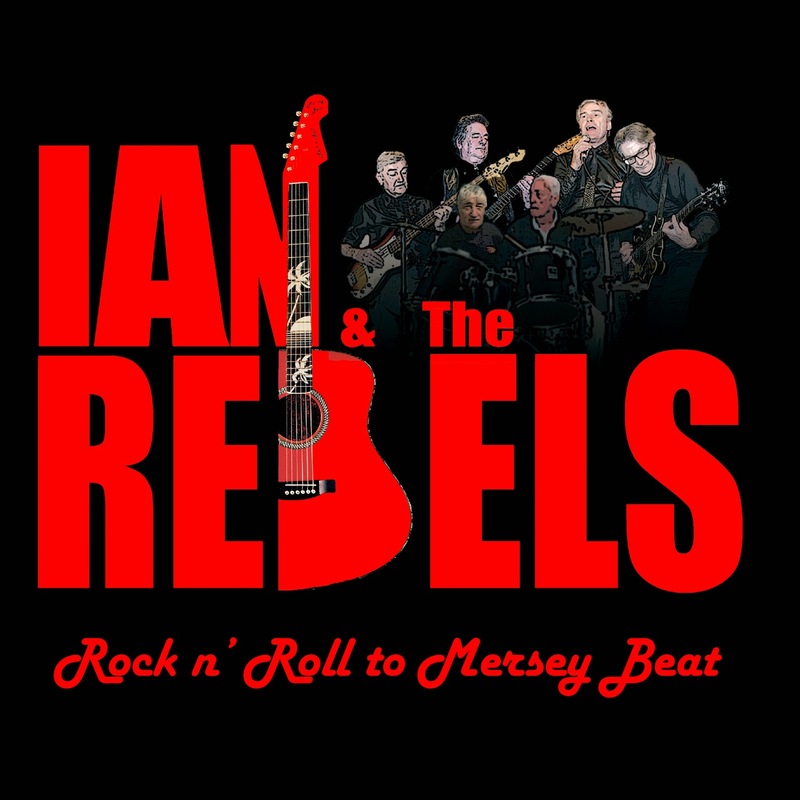 All five original member’s of Ormskirk 60's band; Ian & The Rebels namely; vocalist Ian Gregson; lead guitarist Keith Hubbard; rhythm guitarist Roy Smith; bass guitarist Derek Brough and drummer Chris Kenny are celebrating fifty years since the band first got together. 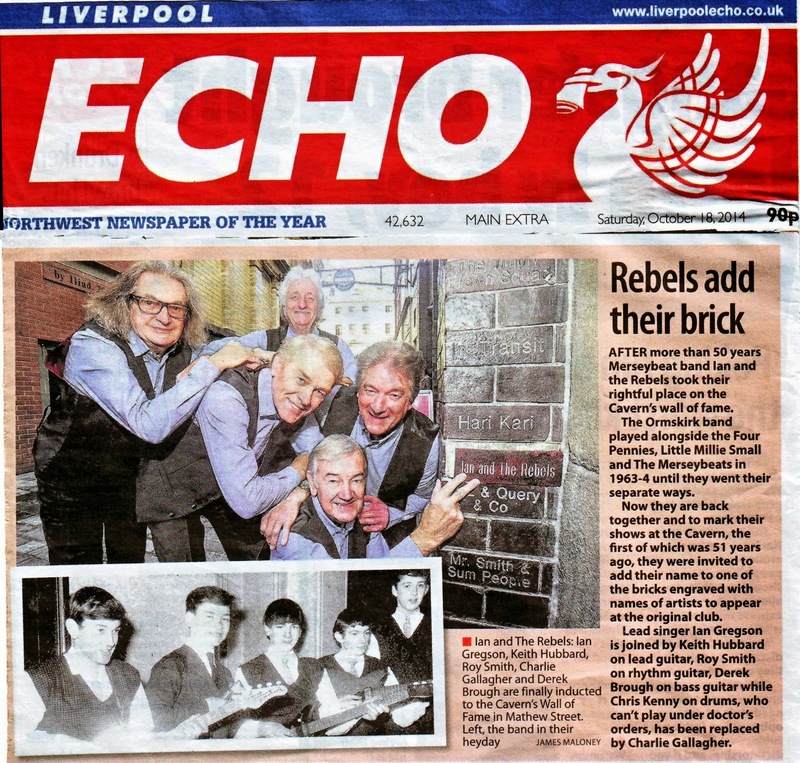 During the Mersey Beat era, Ian and The Rebels; while being the resident band at Ormskirk Young Peoples Club, (affectionally known as, The YPC) performed at all of the top North West venues such Liverpool’s legendary Cavern Club, where the band supported top acts; The Merseybeats, The Fourmost, The Four Pennies, Millie (My Boy Lollipop) and after winning the Cavern heat; won the final of Norie Paramors "The New Sound of 64" talent show which was held at Morecombe Winter Garden’s. During the summer of 2011 Ian contacted guitarist Keith about guitar lessons. They met up and Keith invited Ian to perform a few songs with Shooter on the first of the “Rockin’ at the YPC” Teenagers of The 60s reunion shows at Ormskirk Civic Hall; this was to be held on Saturday 28th October 2011. Ian agreed; his set went so well that he became a regular performer for the following reunion shows. Ian now had the bug; he contacted all the other members of The Rebels and, in December 2012, Ian organized a re-union. This went well and it was arranged that they would have a session in Keith’s studio to see if they could still cut it. The session was very positive and although drummer Chris would be away in Australia, the rest of the band decided that, to celebrate the 50 years since they first got together and played their gigs at Ormskirk Young Peoples Club, they would perform a set on the fourth “Rockin’ at The YPC” show. With Shooter drummer Bob Dickenson filling in for the absent Chris Kenny. The set was so well received that the band, with all original members including drummer Chris, then performed a second gig at Ormskirk Golf Club; unfortunately this would be the final time all five would perform together. Sadly original drummer Chris Kenny was not well and, under doctors orders, had to withdraw from the band. Replacing Chris is ex Crying Shames drummer Charlie Gallagher. The Crying Shames had a chart hit in 1966 with a cover of The Drifters song ‘Please Stay’. On December 31st 2015 (New Years Eve) three years after getting back together, vocalist Ian Gregson and drummer Charlie Gallagher decided to retire from the band. Roy and Keith now share lead vocals and the new drummer replacing Charlie Gallagher is Dean Marriott from Southport. Your are advised to check with the venue before traveling. JKH Music Productions © 2013. Awesome Inc. theme. Theme images by sololos. Powered by Blogger.